She also provides expert business commentary and personal experience anecdotes to a number of television and radio programs including Larry King Live, The Today Show, and CNN's Pinnacle. 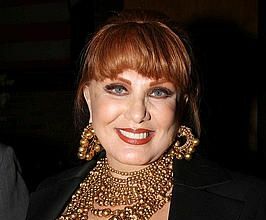 Mrs. Mosbacher is Chair and CEO of Georgette Mosbacher Enterprises, Inc., an international entrepreneurial and consulting business in New York City. Mrs. Mosbacher is well-known for her expertise in the areas of innovative and goal-oriented management, creative marketing, the development and leadership of motivated work teams, and most especially, turning around troubled companies in the branded consumer products area. Mrs. Mosbacher is a tireless advocate of working women. Her overriding ambition, "To help women feel good about themselves," framed her perspective when she shared her own remarkable story in her best selling book, Feminine Force, which was published by Simon & Shuster in the fall of 1993. Feminine Force offers a practical and motivational guide for all women to identify their own priorities and dreams, to achieve their greatest potential, and to avoid the devastating trap inherent in the disturbing notion of victimization. Additionally, Mrs. Mosbacher, through her foundation, makes a scholarship available annually to two women enrolled in the M.B.A. program at her alma mater, Indiana University. All American Speakers is a speakers bureau and booking agency providing information on booking Georgette Mosbacher for speaking engagements, personal appearances and corporate events. Contact an All American Speakers Bureau booking agent for more information on Georgette Mosbacher speaking fees, availability, speech topics and cost to hire for your next event. Please Note: All American Speakers Bureau acts only as an entertainment broker/producer for corporate functions, private engagements and special events. All American Speakers Bureau does not claim or represent itself as the exclusive agent or management of Georgette Mosbacher or any artist on this website. Speaker fees are determined based on a number of factors and may change without notice. Fees often vary based on a number of factors including: speakers schedule, supply and demand, length of presentation, location of event and other factors. Fee Ranges listed on this website are intended to serve only as a guideline. In some cases, the actual price quote may be above or below the stated range.